When will be Street Outlaws: Going the Distance next episode air date? Is Street Outlaws: Going the Distance renewed or cancelled? Where to countdown Street Outlaws: Going the Distance air dates? Is Street Outlaws: Going the Distance worth watching? In Street Outlaws: Going the Distance, Discovery Channel takes a look at the Street Outlaws and some of their career moments. More organized than the sport has ever been, this event may be the precursor to a national league of street racers. Racers try to hang on instead of move up; Farmtruck and AZN improve the Farmtruck and test it out in a fishing race. Kamikaze and Farmtruck both make their triumphant returns to list racing and there will be a new number one on the 405 list. Chuck is ready to prove himself and the Memphis guys give the OKC racers a run for their money. Street Outlaws: Going the Distance next episode air date provides TVMaze for you. 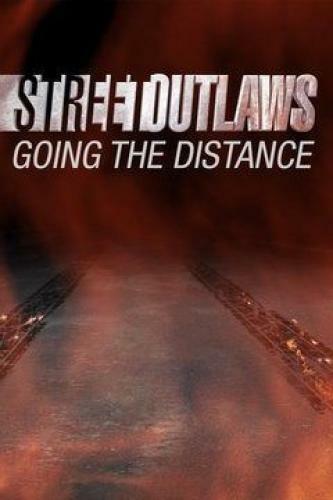 EpisoDate.com is your TV show guide to Countdown Street Outlaws: Going the Distance Episode Air Dates and to stay in touch with Street Outlaws: Going the Distance next episode Air Date and your others favorite TV Shows. Add the shows you like to a "Watchlist" and let the site take it from there.